Thrift stores!!! How could I have forgotten to mention that on this post? When we are there we make sure to check out our favourite thrift stores. This year we found a few new ones too. 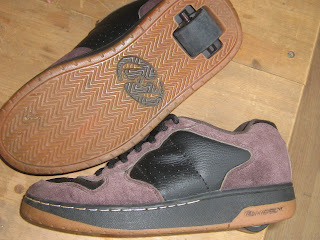 In Kula, W found these Heelys for $1. They looked like they have never been used. They also found some great Lego for 50 cents, including 2 baseplates. 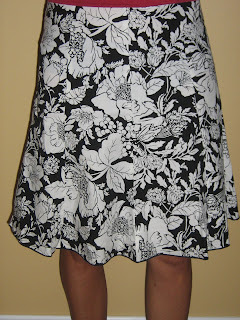 I found several skirts($2 each usually), here are some pics of most of them. 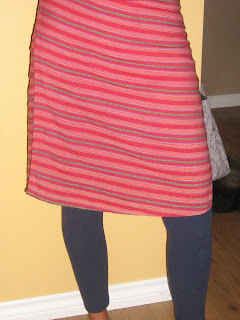 I love the fabric used for this wrap skirt - it has a very South American feel. I also got some shoes that I just couldn't pass up. 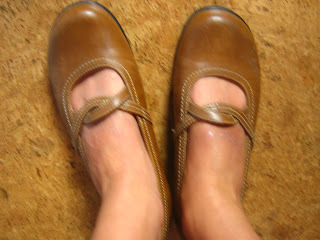 These ones, for wearing with all those skirts. 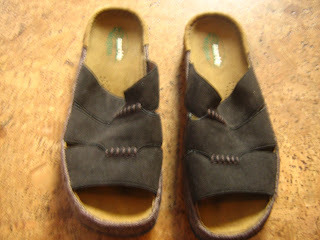 And these ones because they are Vegan Earth shoes ($3 - also look like they have never been worn) and because two years ago I finally had to get rid of my poor, sad, shabby, abused Birkenstocks because, after relegating them to "garden shoe" status years prior, they were in such bad shape that even the earthworms in my garden were embarrassed when I wore them. 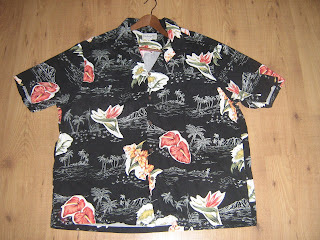 S stocked up on Hawaiian shirts - pretty much a staple clothing item for him the last few years. 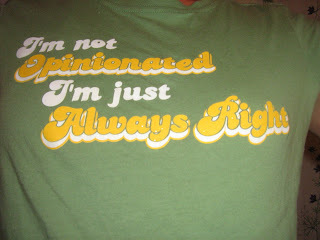 And...how could I pass this shirt up? Well, obviously I couldn't. Fun!! heh heh...good thing for us to keep in mind. We leave for Hawaii this Friday! WooHoo! okay, this is obviously a gift you have. every time you go to a thrift store you leave with amazing stuff! i have a cousin who's the queen of FINDING stuff. like furniture, right on the street. 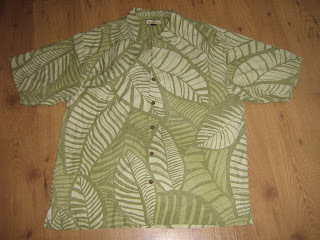 great stuff, stuff i search years for at stores and never find... YOU are the queen of thrifting. i'm now fully convinced. SCORE! love seeing your finds! Ooh, that deleted post gave me a chuckle. Was it from my friend in Brasil who wants us to use his server? 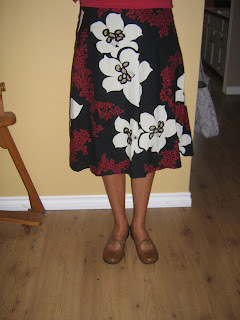 Your post reminds me of when we lived in Southern CA and every single time I went into the discount stores I found beautiful, colourful, and cheap summer dresses. I felt like I was living permanently in a Bollywood video.